We inspect your product in our own facility to ensure that it has been manufactured to specifications. 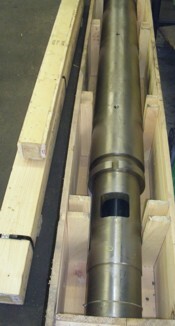 We make sure that the screw fits the barrel and carefully check all dimensions before shipment. Finished products are then wrapped for protection during shipment to your facility. We arrange proper transportation of your custom-made product to help ensure quality and on-time delivery.